Please use the booking form below to reserve a table for all kinds events. 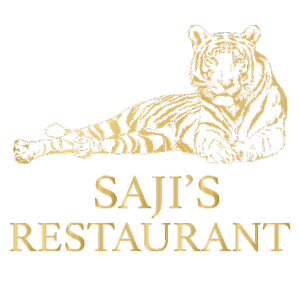 Whether it’s a birthday, anniversary, a works party, retirement, or just an excuse to get together with your loved ones, Saji’s will cater for your every need, making sure your special day is remembered for all the right reasons. Just us a call and we will be happy to help you organize your special day. For small, informal or traditional weddings, the upper level at Saji’s offers a romantic alternative to the usual wedding breakfast. From organising music and entertainment through to supplying a cake, Saji’s is the ideal way to begin your journey into Wedded Bliss and we promise to make your day special in every way. Saji’s restaurant is divided into two floors, with its chic, contemporary style it makes it the ideal place to cater for corporate events. The top floor has two dining rooms and comfortably seats 60 people in an informal setting and also has two dining rooms down stairs that seats another 80 people. The upstairs and downstairs levels at Saji’s make this restaurant ideal for seminars and conferences.